We are a leading Manufacturer of hdpe tape shade net, agro shade net, tea withering nets, mulching film, rose bud sleeves and shade net from Vadodara, India. Quality finished and durable HDPE Tape Shade Net choices offered by us provide for suitable shade support to the crops as well as also safeguards it from U.V rays, excess heat of sun, rains. Finding extensive use in agricultural and horticulture areas, these come with high density finish that adds to its durability while providing suitable protection to crops and plants. 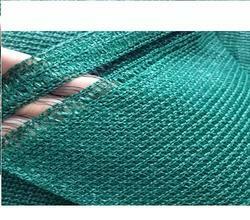 The superior knitted netting support also makes the whole structure more resistant to breakage. 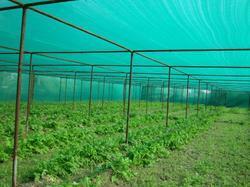 Some of the advantages of these shade nets include protection from sunlight and winds, providing suitable growth environment for agriculture, vegetables, flowers. Further, these nets are also used in car parking and greenhouse applications. Features: Strong, Durable, Highly resistant to UV radiation, Light weight, Economical, Tear Fungus / Moisture Resistant, Easy to Install. Raw material: High Quality Polymer, HDPE Plastic treated with Best UV Stabilizer. Tea Withering Nets offered by us is used in tea/ coffee industry and protects the delicate leaves from rust, metal parts and moisture, thus maintaining the original taste and flavor. The nets are manufactured using food grade material in different lengths, widths, colors, aperture sizes and thicknesses. The net ensure the collection of leaves in more hygienic manner. Mulching Film are used to suppress weeds along with conserving water in agriculture and landscaping. The crops grow through the small slits or holes in the thin film. Mulching film is used most often in conjunction with drip irrigation. Mulch also helps in regulating the temperature and controlling the amount of sunlight on the crop. This helps in accelerating the growth of the crops during the growing season. Soft sleeves need to prevent premature opening of a flower bud such as a rose bud prior to harvest. Grooms the bud to form a naturally beautiful, long and well formed flower. 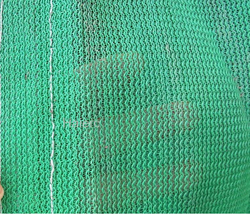 Widely used for agriculture farms, greenhouse and horticulture areas, these Shade Nets come with advantage like strong tensile resistance and anti UV finish among others. Providing for superior protection from strong sun rays, these nets are suitable to be used in areas like shade houses, nurseries, green houses and others. Some of the other advantages these nets provide include reducing evaporation, minimizing damages from hail and frost, barricading entry of pests like birds and insects. Creating a suitable environment that supports superior plant growth, these shade nets are liked by the customers because of its superior durability, tear resistance and light weight knitted fabric finish. 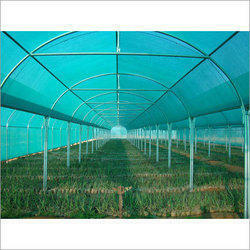 Apart from horticulture applications, it is also used for creating shade areas for vehicles, swimming pools and others. Our expertise in offering various nets helps us to offer Poultry Net that have a soft surface for layer cage floor mesh which is used in poultry farming. It offers cushioning like support to the eggs. These lcfm meshes provide insulation between the hot-weld mesh and the bird's toes, which helps in reducing egg laying inhibition. Owing to the light weight and anti-corrosive features it requires very low maintenance. These can be easily cleaned which curbs outbreak of any disease among the birds. We are engaged in offering a durable range of Anti bird nets which are used to provide protection to crops and plants from birds. These are extremely light in weight and can cover the entire garden from all four sides. 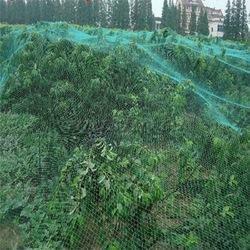 These nets have high resistance to diverse climate changes and harsh sun rays and require less maintenance. We are leading, manufacturers, supplier and exporter of Outdoor Shade Net Customers can avail from us a wide range of Outdoor Shade Net that offers uniform lighting and air circulation in the covered area throughout its life period. Green House Net choices offered by us are made available by us in different shade percentage as per the specific preferences/usage needs of the customers. Finding application in offering superior shade support as well as in controlling of temperature, these find extensive use as overhead covering support in greenhouses. Offering support for growing crops/flowers/vegetables while providing them shield from light water these green house nets help in containing moisture in the air, thus providing for suitable growth environment for the plants. Providing for best output both in terms of quality and quantity of crops, the greenhouse protects crop against infrared and ultraviolet rays. Other than this, these nets also provide safety against heavy rain and air. Some of the areas where it finds extensive use in include Horticulture and floriculture, Garden and nursery, Green house and shade house, Tea garden and others.